Several years ago, I came across this recipe for a homemade weed killer. It was shared by Shell Busey. I love the fact that it doesn’t contain any harsh chemicals, so I don’t have to worry about it being harmful for small children or the neighbourhood pets that like to frequent our yard. The only caution with this mixture is that it will kill your grass and flowers if you spray it on them by accident. 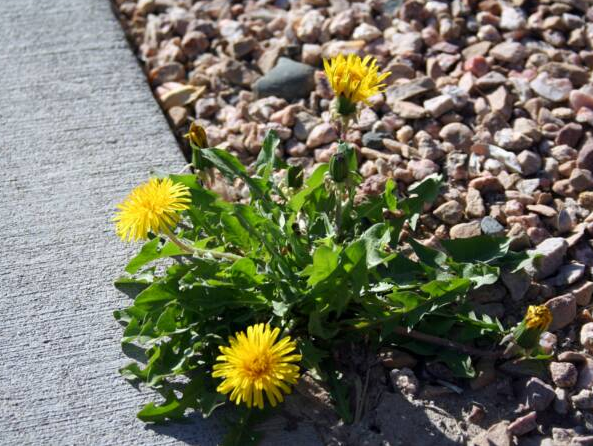 He suggests only using this to kill the weeds that may crop up on your driveway, sidewalk or through ground cover. Pour this mixture into a spray bottle and spray it on your weeds when it is sunny and hot out. Posted on June 3, 2014 by Cindy Roy •	This entry was posted in Life Hacks, Recipes and tagged child safe weed killer, DIY weed killer, homemade weed killer, pet safe weed killer, safe weed killer, Shell Busey's weed killer. Bookmark the permalink. Our whole family are such environmentalists that I know this will be embraced by all. And it’s such a simple recipe to make. Thank you for this.